Do you know why we celebrate Labor Day? 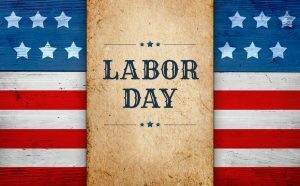 Labor Day is a federal holiday in the USA and has been since June 28, 1894 when congress passed an act making the first Monday in September a national holiday. The purpose of Labor Day is to honor laborers of all kinds and the “workingman” and now working woman and their achievements. Yes, this also includes orthodontists and orthodontic team members at the orthodontic office of Lisa P. Howard DDS MS.
All of us here at the orthodontic office of Lisa P. Howard DDS MS hope you had a great summer and wish you a safe and enjoyable Labor Day.